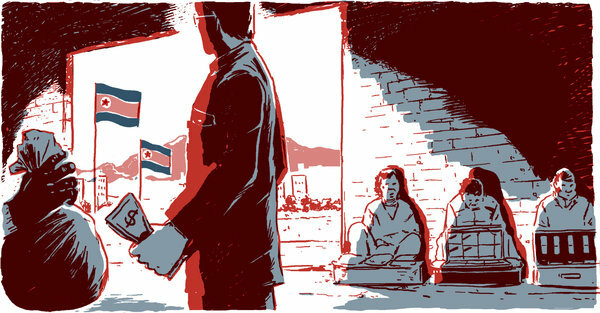 Gypsy Scholar: North Korean Markets and the Power of Money! All of us at the United Front Department -- also known as "the window into and out of North Korea" -- learned three tenets of diplomacy by heart: 1. Pay no attention to South Korea. 2. Exploit Japan's emotions. 3. Ply the United States with lies, but make sure they are logical ones. Kim Jong-il stressed the importance of these three tenets as the framework within which we were required to implement his vision for Pyongyang's foreign relations. North Korea's dealings with South Korea, Japan and the United States always hewed closely to these principles. Our department's mission was to deceive our people and the world, doing what was necessary to keep our leader in power. We openly referred to talks with South Korea as "aid farming," because while Seoul sought dialogue through its so-called Sunshine Policy, we saw it as an opening not for diplomatic progress but for extracting as much aid as possible. We also successfully bought time for our nuclear program through the endless marathon of the six-party talks. Although in my job I had access to foreign media, books with passages containing criticism of our Dear Leader Kim Jong-il or his revered father, Kim Il-sung, had large sections blacked out. One day, out of deep curiosity, I made up an excuse to stay behind at work to decipher the redacted words of a history book. I locked the office door and put the pages against a window. Light from outside made the words under the ink perfectly clear. I read voraciously. I stayed late at work again and again to learn my country's real history -- or at least another view of it. Most shocking was what I discovered about the Korean War. We had been taught all of our lives how an invasion by the South had triggered the conflict. Yet now I was reading that not only South Korea but the rest of the world believed the North had started the war. The social effect of the rise of the market has been extraordinary: The umbilical cord between the individual and the state has been severed. In the people's eyes, loyalty to the state has been replaced by the value of hard cash. And the U.S. greenback is the currency of choice. Trading with their U.S. dollars . . . for Chinese products, North Koreans have come to recognize the existence of leaders greater even than the Kims. Who are these men gracing U.S. bank notes? North Koreans now see that loyalty to the supreme leader has brought no tangible benefits; yet currency bearing the faces of American men is exchanged for many things: rice, meat, even a promotion at work. An insight that I never would have imagined -- images on currency leading to political heresy -- because the dollar buys more than the image of a Kim! I'll never look at money in quite the same way again. I also learned of a website on North Korea that posts articles by North Korean defectors: New Focus International. Mr. Jang is the is editor in chief.